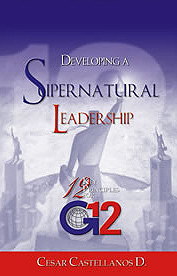 Much has been written concerning leadership, but very few, dare to speak about what supernatural leadership should be. Generally successful leadership is the result of the development of the integral abilities of the man. Where as the success of supernatural leadership is the result of a total dependency of man towards God. In the clear and precise style, that he is known for, Pastor Cesar Castellanos hits the target and shares these principles that have helped him to conform one of the ministries of greater impact, at a worldwide level. In revealing these principles he has prepared the way so that those that yearn to see the multitudes within their congregations may believe that they can obtain it. Within the key principles you’ll find: • Train your disciples in faith. • Help your disciples to conquer their dreams. • Help them so they may work in partnership with the Holy Spirit. • Teach them how to obtain success.